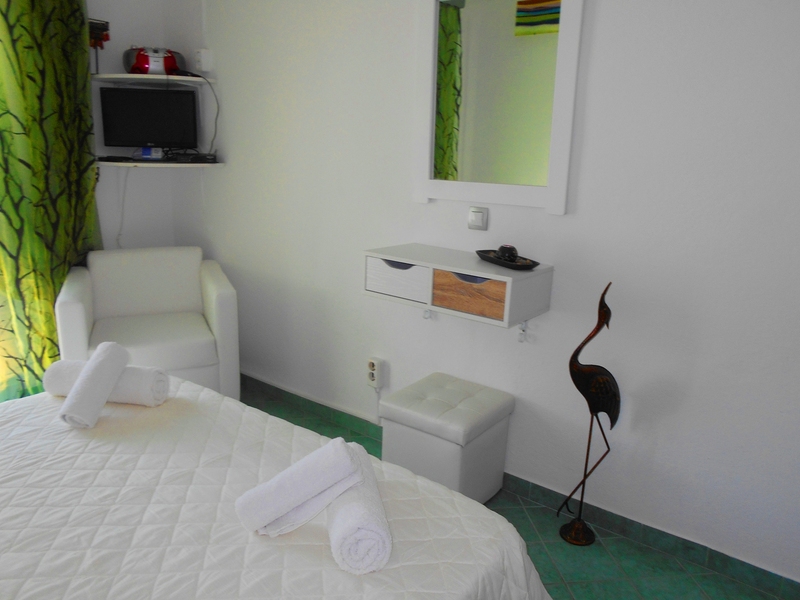 Part of our guesthouse, No 5 is a double bed room with view to the pool. 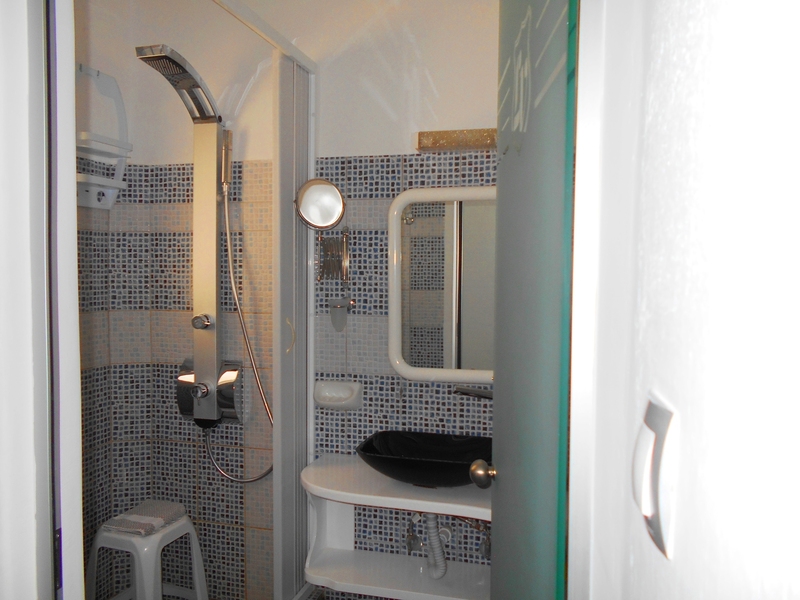 This room features a double size bed and a private bathroom with shower and toiletries. 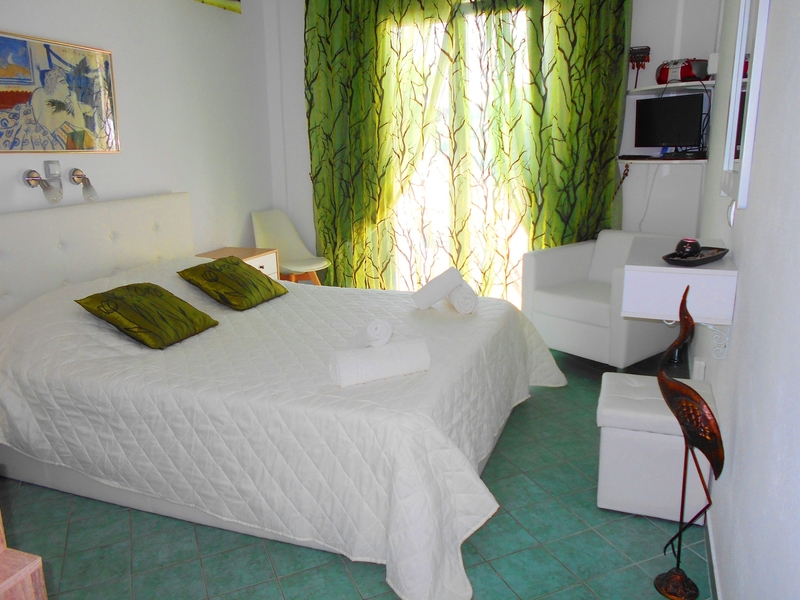 Additionally the room offers individually controlled Air condition, Flat Screen TV, Radio CD player – Music, Coffee maker or Kettle, Mini-fridge, Tea/Coffee facilities, Electronic Safe box and Hair dryer. Guestroom No 9Our guestroom No 9 is a double bed room with view to Mykonos Town and Aegean Sea. Guestroom No 10Our guestroom No 10 is a twin or double bed room with view to Mykonos Town and Aegean Sea. Guestroom No 1Our guestroom No 1 is a double bed room with view to the pool. This room features also a small kitchenette.